Are you feeling out of balance and not quite yourself? Do you struggle to get through your day and always feel tired? When you schedule an energy therapy session you will receive treatment that is intended to trigger your body�s natural healing abilities. Your initial intake will include a full assessment of your energy system. Using various tools and intuition I will help you identify blockages, disconnections or energy misalignments. Energy therapy is a gentle, non-invasive healing modality that restores your body to a state of balance, that when achieved, allows overall physical health to improve. Your treatment plan will be custom designed and may include such therapies as Reiki, chakra balancing, flower essences, journaling and/or ceremony. 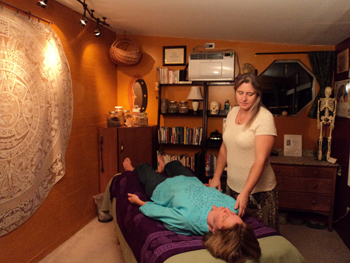 Sessions can be given in person or as distance healing. By partnering with me, you will receive a plan that can create a sense of calm and peace, relief from pain, connection with spirit, increased energy, emotional and physical healing on many levels. Do you want to use herbs for your health and experience optimum results? Would you like to enjoy good health as your birthright? When you choose Earth Mother Herbalism we will discuss your health history, diet, supplements, level of exercise and all the important issues that make you the unique person you are. We will focus on lifestyle issues including sleep, stress and your present and desired levels of happiness. 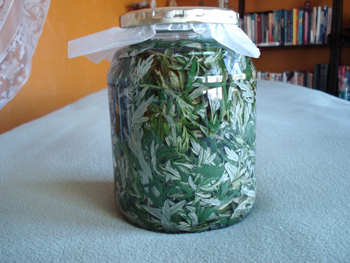 Suggestions I may offer to support you are not limited to the use of herbs. They may include breathing exercises, creative endeavors, prayer/affirmations, physical activities, introspective assessments of your life, diet or other healing work. Working together will allow you to gently shift habits in your diet, emotional self and physical body. Based on your needs, we will develop a plan of realistic compliance using the plants as allies. Herbal choices include teas, tinctures, poultices, aromatherapy, flower essences and many other creative uses of our healing plants. Are you looking for a way to reduce pain and manage stress? Could you benefit from better sleep and improved concentration? Your decision to choose a massage by Melanie starts you down the road to health and bliss. Regardless of the adjectives you assign to it (pampering, rejuvenating, therapeutic) or the reasons you seek it out (a luxurious treat, stress relief, pain management), massage therapy can be a powerful ally in your healthcare regimen. Clients often report a sense of perspective and clarity after receiving a massage. The emotional balance bodywork provides can often be just as vital and valuable as the more tangible physical benefits. Would you like to participate in a program that offers opportunities for a life that is filled with less pain, more joy and hope for the future? A transformational journey is an exploration in personal growth and empowerment that is designed to create meaningful and lasting changes. The journey integrates all your ways of knowing � body, mind and spirit; cutting through illusions and moving beyond self-imposed limitations. In order to heal physically, grow in spiritual awareness, lead in business or cultivate real intimacy in your relationships, you must release limiting beliefs and identities that hold you back from being authentic, empowered and joyful. As you are guided along this journey you will be challenged to gain a fuller understanding of your creative and visionary power. You will have the opportunity to align with your path and purpose as you overcome and heal unconscious patterns. 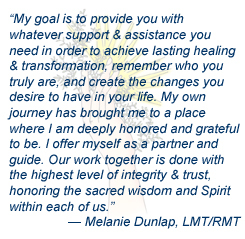 When you choose to begin your transformational journey with Melanie you will be asked to commit to your own well-being. Each journey is individualized to meet you where you are right now, allowing your specific needs to create a transformation uniquely your own. Together we will assess your needs and develop a pathway that will ultimately lead to meaningful and lasting changes. Your first step on the path will be to assess where you are now and where you want to go from here. A comprehensive intake evaluation gives us the necessary information to customize your plan. Your transformational journey is supported with an appointment each week; this two hour appointment will address your needs as they arise. Each appointment will be different, focusing on your current situation.